Dalmatians are firemen's best friends. 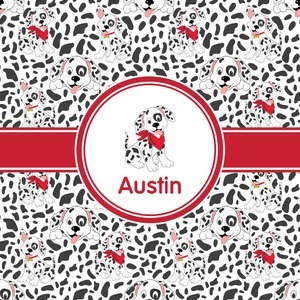 Covered in black spots and happy, slobbery dalmatians, this pattern is perfect for the little fireman-to-be. This design offers customization by picking the hair color and adding your little guy's name.